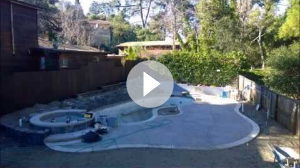 Arreola Landscaping and Pool Design is an East Bay company that offers 20 years of comprehensive landscaping design and construction services. We work with Contra Costa County homeowners who are ready to take their backyard and outdoor spaces from drab to dynamic. We can take you from concept and design through to construction. Whether you’re in need of a new driveway, retaining wall, pool, or pond, or are simply enhancing your existing landscaping, Arreola Landscaping can help you realize your dreams. Customers are number one with us, so we work hard to surpass your expectations and ensure you are totally satisfied. At Arreola Landscaping and Pool Design our team comes to you with great references and creative design solutions to help solve all of your landscape needs.